Jazzve Vintage Coffee Pot Maker made in Armenia during Soviet area 1970s. 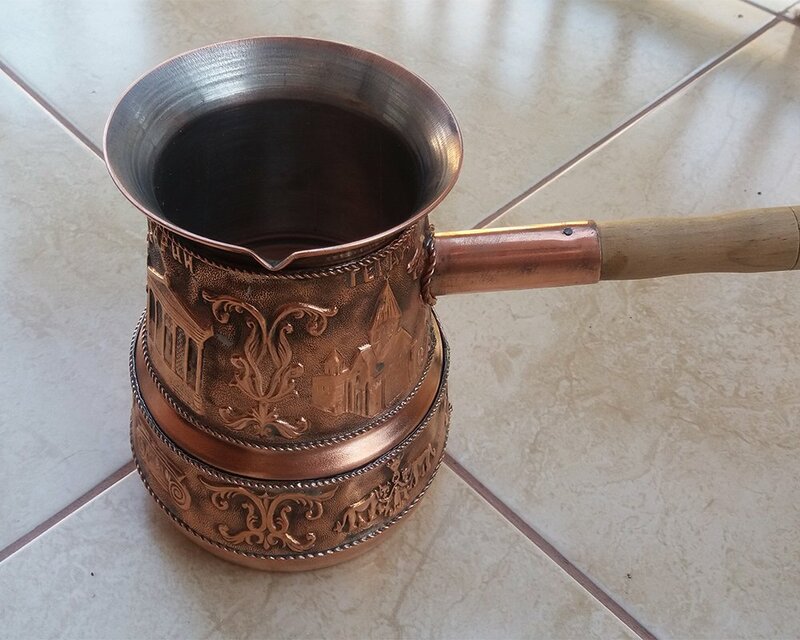 This vintage Jazzve also call Cezve coffee pot maker made in the 1970s period in Armenia during the soviet area from copper with a wooden stick is in perfect condition. There are four beautiful designs of the temple of Garni, Sainte Hripsime Church, Zvartnots Cathedral, Geghard Monastery and some other with lions, eagle, etc. with some Russian writing.